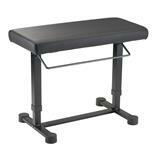 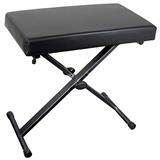 Sturdy and reliable black piano bench that's easily foldable to an easy to transport size. 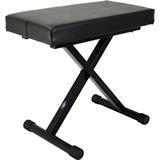 An ideal bench for the traveling pianist! 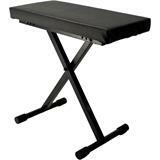 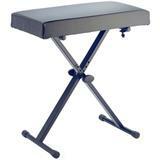 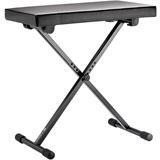 Sturdy keyboard bench, ideal for keyboard and piano players, with comfortable padded seat. 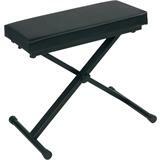 Banc de piano noir RTX TRT KBX, réglable en hauteur au moyen du système "Speeklock". 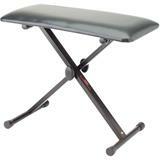 Tabouret pro en titane réglable. Montage et démontage rapides. 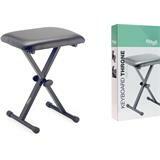 2 plaques de renfort en acier. 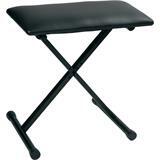 Comfortable keyboard bench with high quality black imitation leather or wear-resistant black fabric seat 540 x 300 mm, height-adjustable, wobble-free design, collapsible for easy transport.